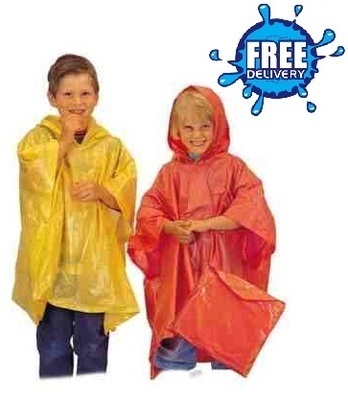 Our Kid's Plain Re-usable Ponchos are great for camping, sporting events, outdoor festivals or to simply to take out for the day. Emergency Re-usable PVC Poncho with hood. Child size 40" wide x 60" length. Suitable for 5-9 year olds. Also available in adult sizes here. 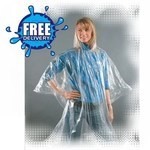 Free UK delivery approx. 2-3 days from order confirmation. Next day delivery available upon request at additional cost.